Just got back last night (we pulled in to my driveway at 11:45pm) from a blitz road trip from San Diego, California in a Porsche Cayman. Was a blast and confirmed why I love road trips. I’ll try and give the abbreviated version of the story. I was in my buddy’s restaurant last Thursday for a lunch meeting. He happens to be a big car nut and mentioned to me when I walked in that he was thinking about buying a Porsche Cayman. Said he found one in San Diego that he loved. Immediately I’m thinking, “ROAD TRIP!! !” and told him I’d fly down and drive back with him if he ended up buying something. By the time I got back to the office from lunch I had a text asking if I was serious. We had flights booked by the end of the day for Sunday and he’d purchased the car. 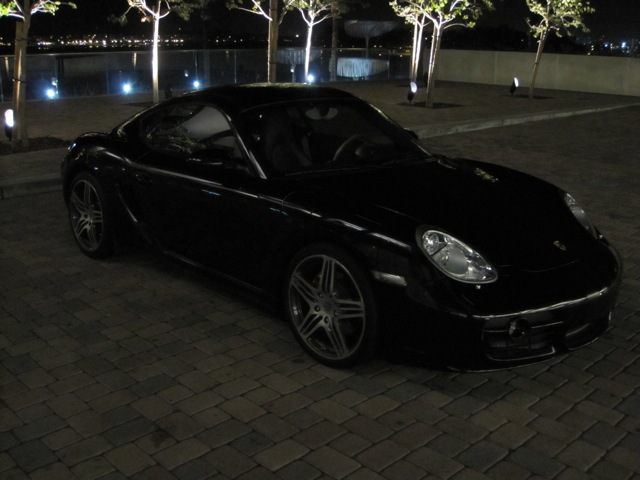 Turns out it’s a 2008 Porsche Cayman S Porsche Design Edition. 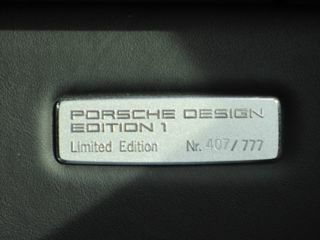 Since it’s a special edition, it has a little plaque on the dash showing it’s #407 of 777 made. Black with black leather and only 7k miles on it. Everything is in that cool Porsche Design black. The knife is especially cool with black blades and a nice matte finish. None of it had been used by the previous owner. We flew down, picked up the car, had dinner with his daughter and her friends, then took off early the next morning for Portland. I’d never driven or even ridden in a Cayman, but I have to say, I was dang impressed. The Porsche Design edition is especially appealing with some nice touches. Inside, there are slick shiny black surfaces sprinkled throughout the cabin with a suede wrapped steering wheel and shifter. LOVED those! Outside, the car has decals up the center that run from front to back, but they’re very subtle. In fact you don’t even notice them at first. There are also some on the lower doors that run horizontally. They really set the car off (and I don’t usually like that stuff). Also included on this model are Porsche turbo wheels. The car drives and rides like a true Porsche. The ride is a bit on the stiff side, even without the Sport setting engaged. Steering is precise and it corners like a dream. I was particularly impressed with the power of the car and how responsive it was. It feels more agile than the 911 because of it’s smaller size and the engine being mid car rather than in the rear. I also loved the sound in the cabin with the engine right behind your back. Reminds me of the Ferrari. I spent plenty of time driving and enjoyed every minute of it. Well, almost every minute of it. I drove through the pass and ended up driving through snow and some ice on the road. I don’t mind driving on that stuff, but not in someone else’s new-to-them Porsche. We made it though and even made the non-negotiable In-N-Out stop for lunch just outside of Stockton. I’ve been thinking a lot lately about Porsche special edition cars and whether or not they’re worth it. I have a post partially written up with some thoughts and have some interesting new material to add after spending time in this Porsche Design Edition Cayman. It’s definitely tainted my view a bit on the special edition cars. God bless the “road trip”! Which for a 16 year old thats only going to drive 4-10 miles a day, A Porsche Cayman, or a Lotus Elise? Ryan, that car sounds awesome and makes me want to take some road trips even more. Seems like the Cayman is not talked about a lot for some reason. It is sort of the middle child in between the boxster and the 911. Would love to upgrade to one. Not a huge fan of the way the back of it looks though. Sounds like a great trip in a great car. 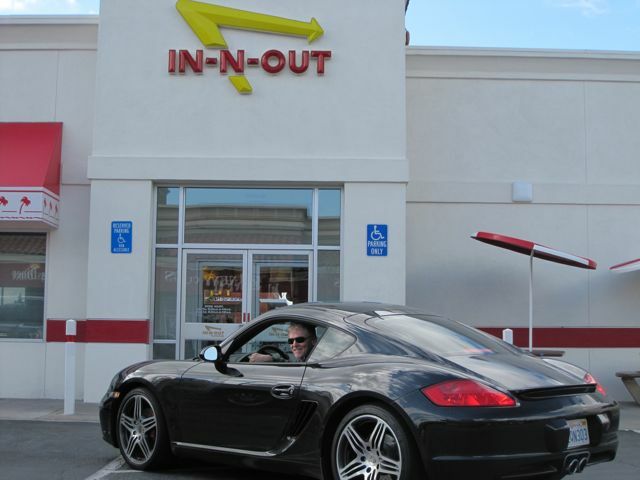 I realy like the Cayman in black. For a 16 year old I would say neither. Both are just asking for trouble (I feel so old all of the sudden — maybe it’s having a kid of my own now). Is that it for the pics? I’d like to see the decals – do they show up in any pics, or am I just missing them? Sounds like a sweet trip. Looks like a sweet car, and sounds like one too. I’ve taken my R8 all down the Oregon Coast from Vancouver, BC and I’ve had no complaints. While it’s stiffer than my S for a super car you can’t complain. As for the Cayman S I’m not sure but I would assume it’s a similar comfort rating with the R8. The interior spacing is a tad tight for my liking on a road trip but hey it fits two golf bags in the rear, got to love that. me thinks the title needs to be edited to single-man road trip cars vs. family cars better yet, single-man road trip cars that will guarantee you get laid.